Access to clinical care is important for maintaining the health of a community. Clinical care access is an excellent indicator for the status of a community’s overall health infrastructure, including access to providers and services, environmental factors, and other factors that impact and support the members of a community. Louisville ranks 10th on this metric, above our peer city average. 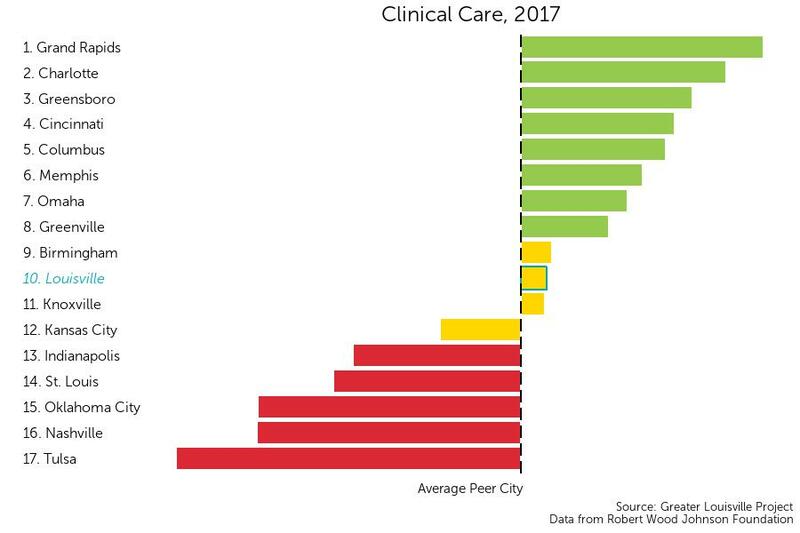 The graph shows an index of health behaviors where the vertical black line represents the average peer city. The bars represent how many standard deviations from average each city is.